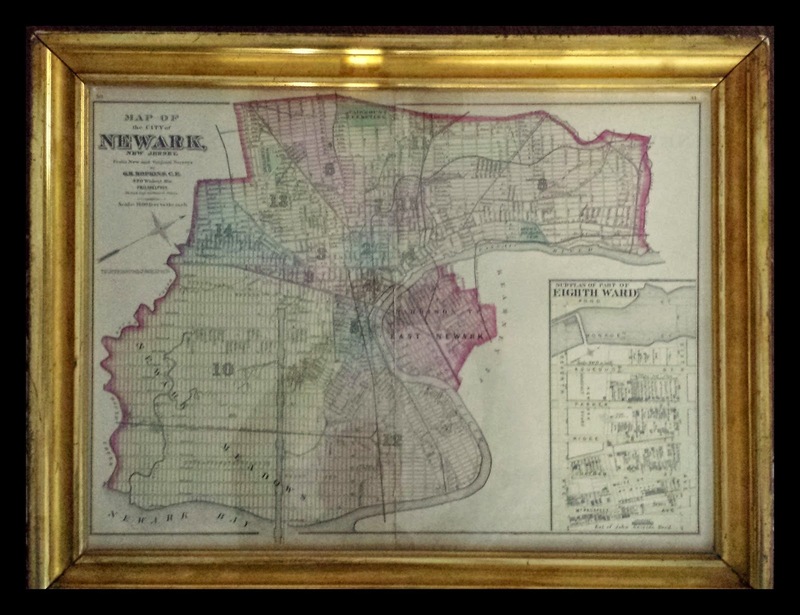 "Map of the City of Newark, New Jersey: From New and Original Surveys." Lithograph map, with added color, Scale: 1600 feet to 1 inch. The sheet also contains an inset map of part of the Eighth Ward. First atlas of the city of Newark. The volume contains a map of New Jersey, maps of all twenty-one counties, and a general map of Newark that identifies the territories of its fifteen wards. 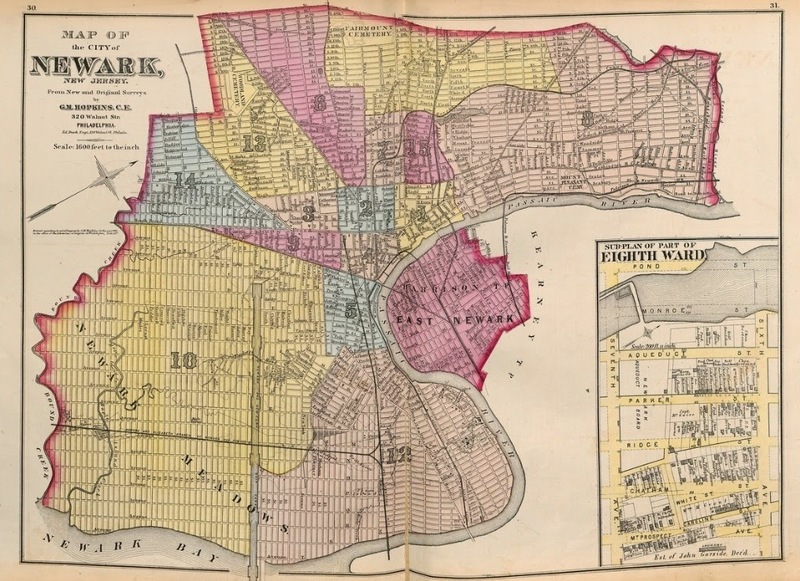 Individual maps of the wards and the north and south parts of East Newark follow. The atlas concludes with a six-page "Special Classified Business Directory of the City of Newark, New Jersey," an alphabetical listing of local businesses and services, where subscribers are named under "Subscribers." Pink, blue, yellow, and pale orange colors identify the city's fifteen wards and East Newark. 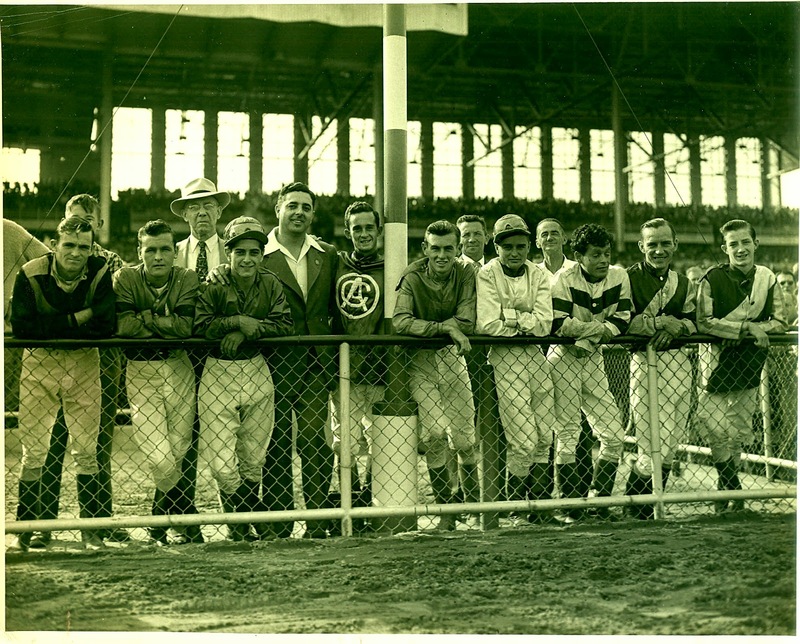 Much of the Tenth and Twelfth Wards are part of the "Newark Meadows" that are still undeveloped. "The Newark and New York Ship Canal" was envisaged as a navigable ferry connection between New York and the center of Newark but was never realized. Note that the Morris Canal winding through the city ends at the Passaic River. 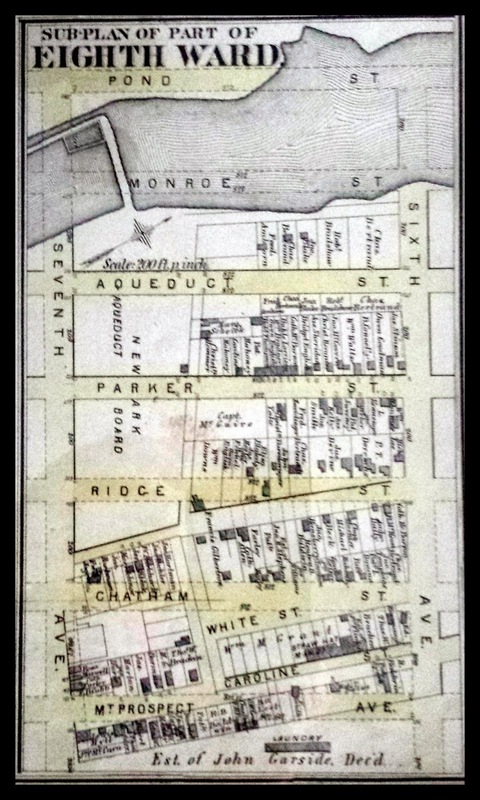 All of that channel was gradually filled in; part of the bed became the route of the Newark City Subway in the 1930s, which runs under a section of today's Raymond Boulevard.